​​Two goals apiece from Alan McQuade and Rory Page, plus a man of the match performance from Jeff Badu, helped Sporting Hackney Vets to a handsome 5-1 home win against Old Parmiterians in the side’s first Essex Veterans League fixture of the 2018/19 season at Hackney Marshes on Saturday 15 September. 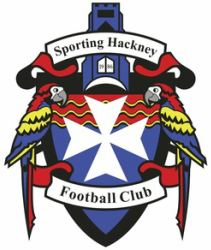 Last season saw the points shared between these teams as both won their home games in this fixture, the Sporting Hackney lads avenging a 2-1 away loss with a 3-0 win. With such tough opponents, manager Jamie Duff was delighted to see his side’s high work rate and application so early in the new season. "I thought the lads were excellent today, giants, and fully deserved the points," he said. With a bare 11 available, the Parrots came flying out of the traps and had several penetrating attacks in the opening 15 minutes but showed early signs of rust when it came to the final ball. The deadlock was broken at the midway point after great work down the left by Badu whose square ball fell too far behind McQuade for him to get a clean hit. The ball ricocheted off a defender, looped towards goal and was hooked in off the underside of the bar by the onrushing Page. The game had barely restarted when it was 2-0. A defence splitting Badu through ball found McQuade, who looked as if his touch had taken him too wide but finished with aplomb low and hard across the keeper. Hackney were well on top at this point and although Parmiterians were battling hard to stay in the game, goal number three came before half time. Badu's shot from distance looked to have been saved to the bottom right but somehow the ball managed to spill through the keeper’s hands and over the line. Parmiterians had more of the ball at the start of the second half without creating any chances. As in the first half, the majority of high balls were mopped up by Muir Forrest and Bert Carbon at the heart of the defence. The visitors did manage to pull one back, however, when a speculative high ball into the box evaded everyone and the bounce carried it up over the keeper into the Hackney net for 3-1. A comeback was never on the cards, however, and the score was soon 4-1. Badu delivered from a corner and McQuade finished with a precision header. With the seconds ticking away the points were secured with the coup de grâce. Badu charged down the left and threaded an exquisite reverse pass to Page who beat the last man and finished into the roof of the net. There were some good performances all over the pitch, but man of the match must go to Badu for four assists and one goal. Other top performers were Carbon, McQuade and Forrest.